He's the bad guy that's easy to root for - a master thief with his eyes on the liquid assets of a notorious corporate crook. Wyatt is back, and he was never here. A tensely atmospheric debut set in a deep English winter. Explores the edge of adolescence, survival and friendship. Nesbø is back to his best with a gripping and dark Harry Hole thriller. Tinder-users beware, your date may have a thirst for blood. Top-notch Aussie rural literary noir. A deeply unsettling exploration of boyhood and the rippling damage of child sexual assault. Where True Detective meets the Sunshine Coast. A tightly-written thriller in a sinister, humid setting. A quick and punchy thrill-ride through the snowy forests of occupied Norway. A compelling and intelligent story of survival in a bleak but beautiful Australian coastal setting. A powerful memoir and important reflection on Australia’s shameful and deeply ingrained racism. 10 cosy crime stories for Christmas. A stunning conclusion to the Belltree Trilogy’s overarching mystery, an insightful comment on Australian history, past and present. Val McDermid has always positioned her DCI Karen Pirie books as standalone. But how many standalones can you write until you’ve written a series? The answer is 4. South Africa are 6/194 at stumps on Day 3 and I am wrecked by the brilliance of this book. 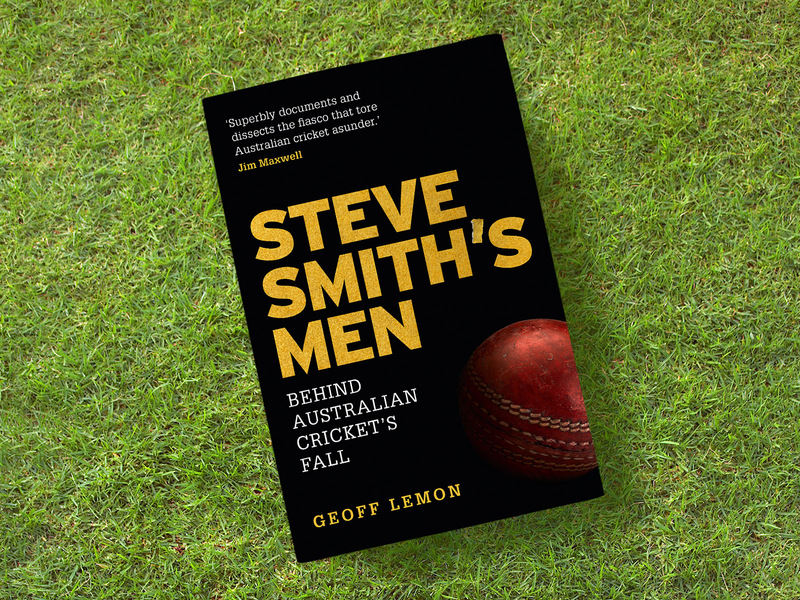 If you have a crime-fiction loving cricket fan in the family, consider your Christmas shopping sorted. Clancy is a misfit who doesn’t even fit with the misfits - she’s sixteen and just trying to work out who the hell she is when her dad is involved in an accident that kills two local teenagers, her girl-crush finally notices that she exists, and new-girl Nancy walks into her life. Are a series of assaults and the kidnapping of DS Berrisford's niece related, or this something altogether more sinister than it first appears? Just what do you do to a man who has raped and murdered a young girl when the criminal justice system has no remedy to offer? A modern Scandi-crime take on Arthur Conan Doyle. A well-paced and thoroughly enjoyable piece of Australian-noir. Draws on the 'feel' of Jim Thompson et al. without falling into age-old American noir tropes. Ashley McKenna, native New Yorker, does favours; sometimes for money, sometimes for whiskey, but always with his trusty steel umbrella in close reach. When the woman Ash loves leaves him a desperate voicemail - a message he hears the morning after she’s murdered - he grips that umbrella and hunts for her killer. Brendan Reilly emerges from the murky depths of a dam a changed man, caught between two worlds. In one he’s a respected patch member of the Overlords bikie gang; the other, a scumbag ex-husband and estranged father.